What did Jérôme Kerviel do wrong? 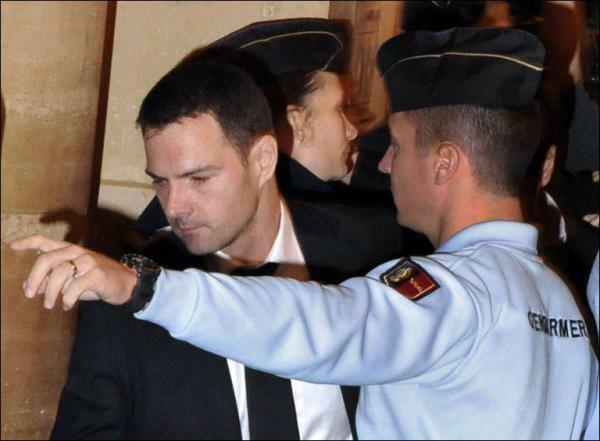 Today, an Appeals Court in France upheld the conviction of Jérôme Kerviel, a former trader with the French bank Société Générale, sentenced him to serve time in prison and ordered him – rather symbolically I assume – to pay 4.9 billion Euros to the bank by which he had been employed. What did Jérôme Kerviel do? Jérôme Kerviel worked as a trader at Société Générale. Beginning in 2006 and up to 2008 he was engaging in high-risk trades which the bank later said were “unauthorised” (although they didn’t mind reaping the profits of these trades as long as they went fine). He exceeded his risk limits and tried to conceal his activities. When Société Générale finally “discovered” what had been going on, they closed the trades in January 2008 at an alleged loss of 4.9 billion Euros. What should Jérôme Kerviel have done instead? He should have opened a bank himself before losing several billion Euros, because then he would have been rewarded for this reckless behaviour with a taxpayer-funded bailout. This entry was posted in Economics, France, Law, Scams and tagged banks, business. Bookmark the permalink. 5 Responses to What did Jérôme Kerviel do wrong? It just stuns me that Mr. Kerviel could rack up such large losses without anybody (supposedly) knowing anything. I used to work for a company that became part of Citicorp, processing credit cards, and we couldn’t even open up test accounts without three levels of management approving and tons of paperwork. And that was for a credit card only good at some women’s clothing stores! I just find it VERY hard to believe that he could go on recklessly trading with “nobody knowin’ nuthin’ “, as an old gangster movie goes. Personally, I’d vote for SocGen to cough up some money, if for no other reason than to assign some folks to an oversight committee! It just like Bernie Madoff he made billions but they cant find any of it or where it went, I had bought a container of cookie dough ,That night on the news i seen that it was being recalled because it was bad. 2 days later i got a letter in the mail with my name on it and it informed me that i had bought some of the bad cookie dough and not to eat it. In my mind i thought they found me real quick considering i never contacted them or the store! Now tell me again they cant find the money! g, did you pay with a credit or debit card or use a frequent shopping card? These are ways that the company could know that you bought the bad cookie dough and have your address. Nassim Nicholas Taleb made an interesting observation regarding the problem of rogue traders – the losses stem from the size of the banks involved – had Jérôme Kerviel been working at a bank a tenth of the size, the positions could have been liquidated a disproportionately lower cost, if at all. But the fact that the bank was so big meant that liquidating its position was enough to move the market and thus make its losses even worse.